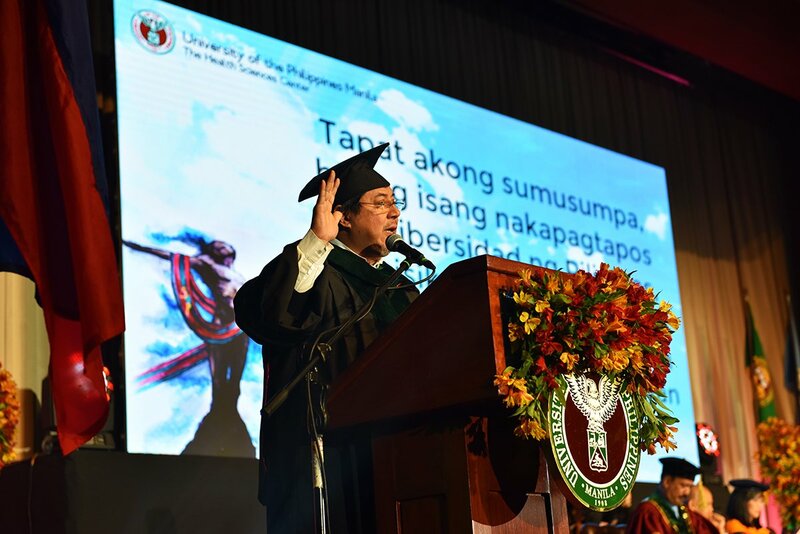 With the theme, “Iskolar ng Bayan Manindigan para sa KKK: Katotohanan, Katarungan, at Karapatan”, Supreme Court Associate Justice Marvic M.V.F. 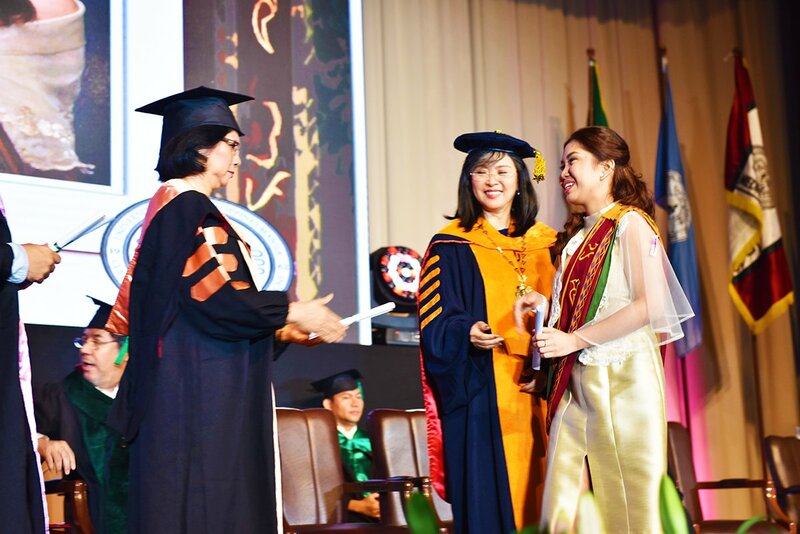 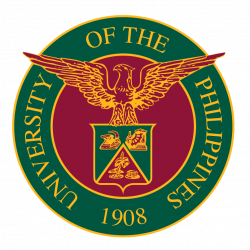 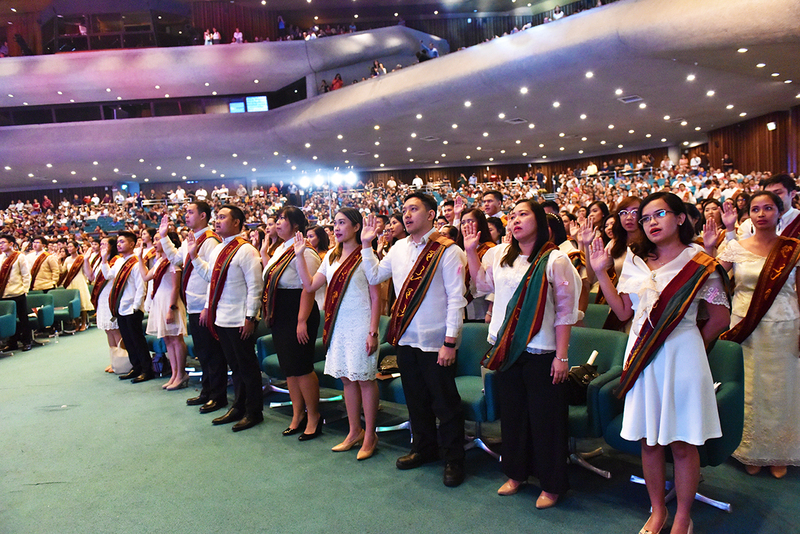 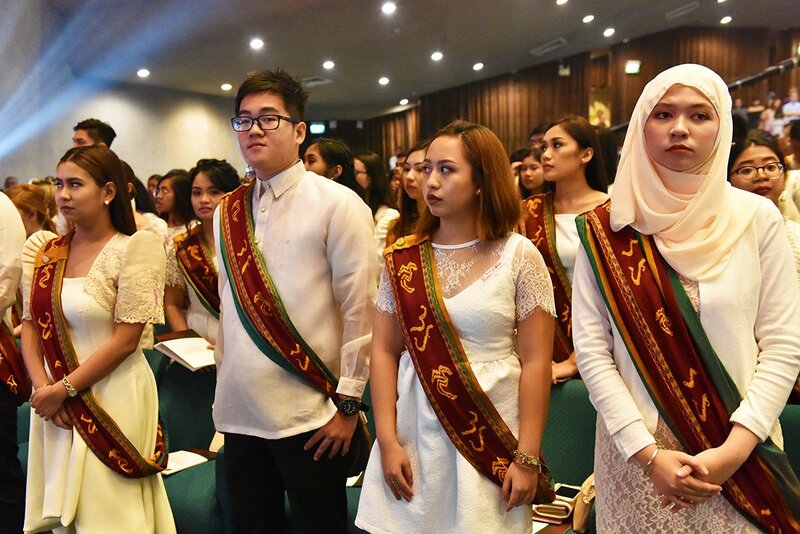 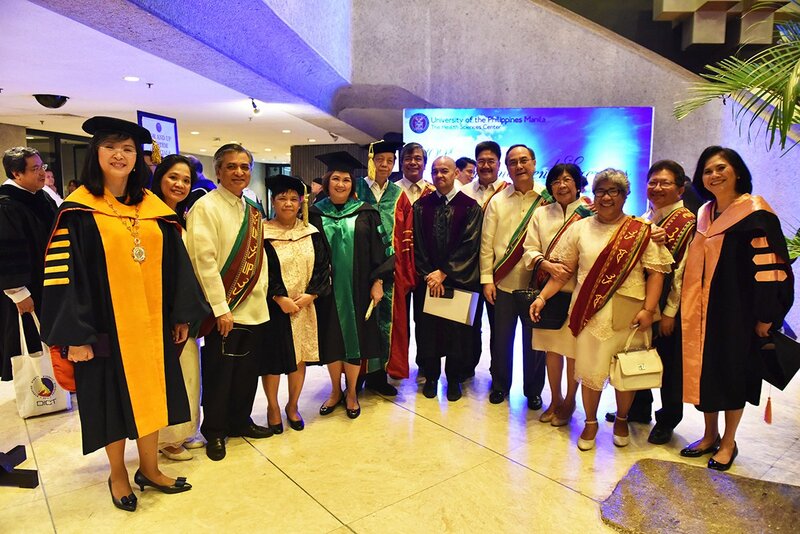 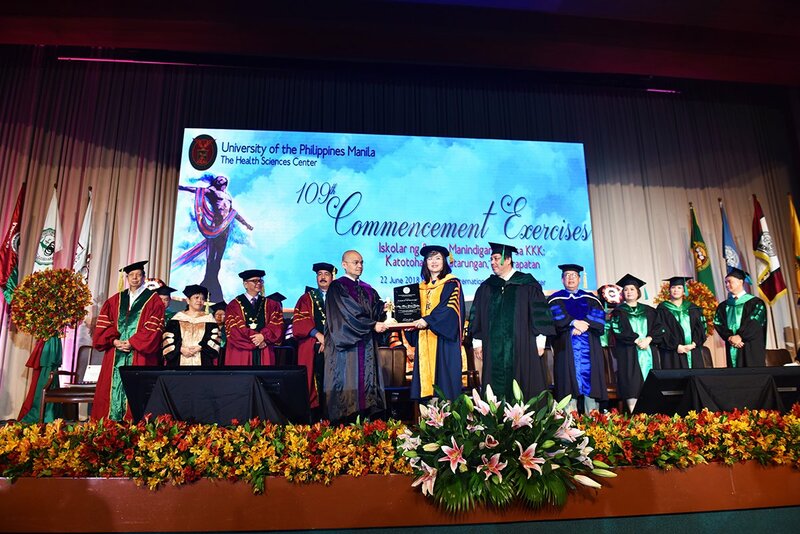 Leonen delivered the commencement address at UP Manila’s graduation rites this year. 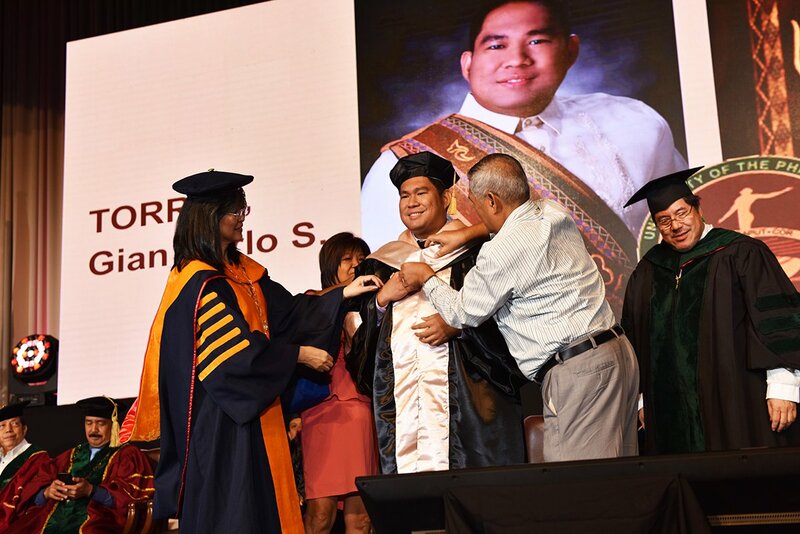 In his message, Leonen urged the audience to ”. 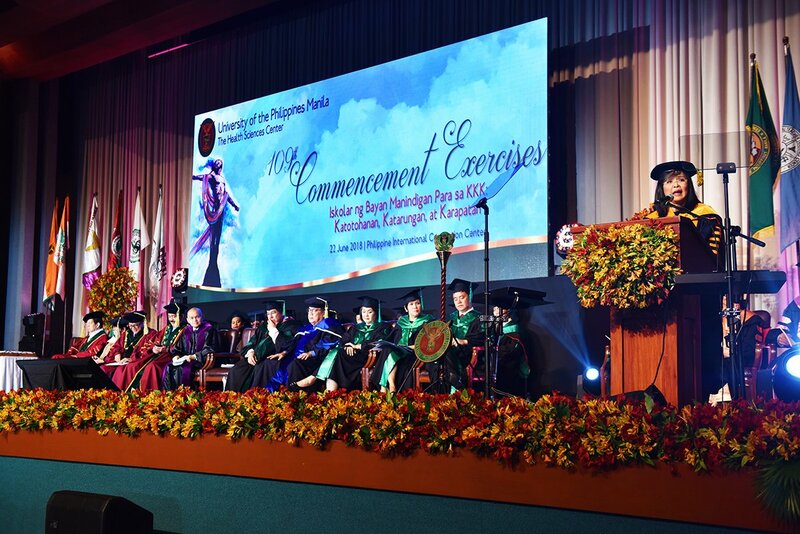 . . find the patience to read, to think, to share, to organize and then to act. . .” as he explained that genuine democracies were founded on truth, “real conversations”, social justice, “collective consciousness, and collective action”. 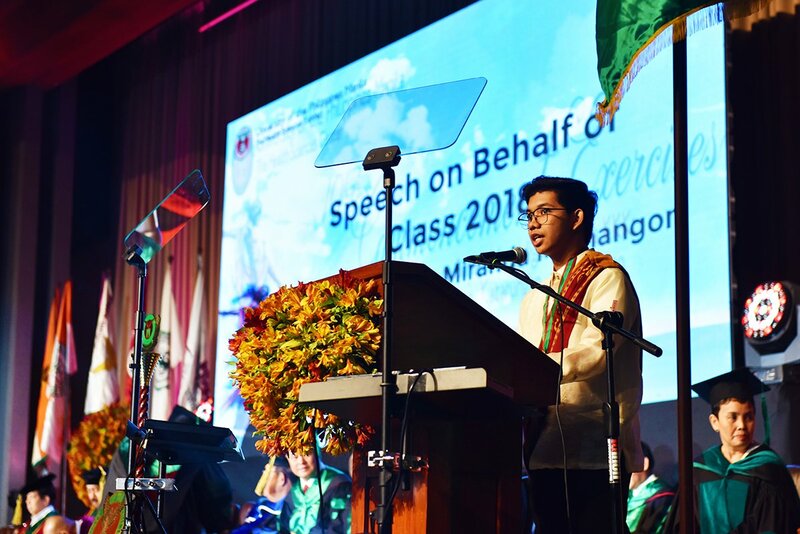 “Do not be silent in the face of injustice,” he advised the graduates. 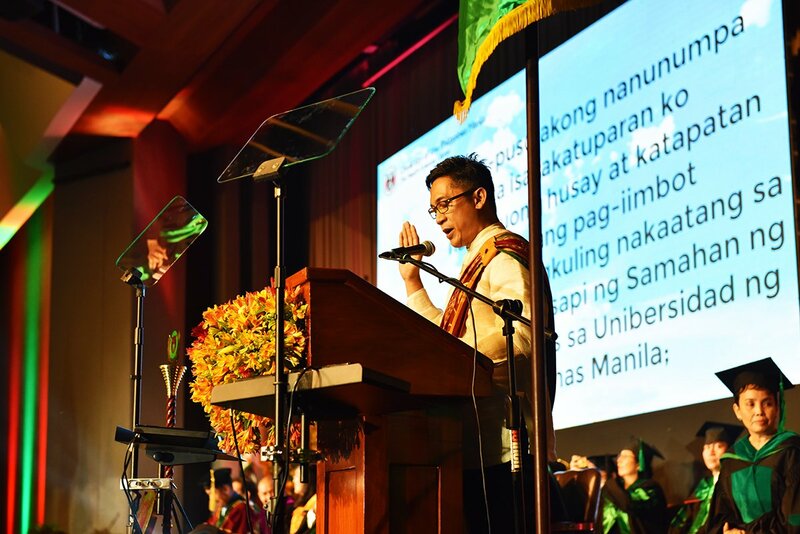 “As you leave the great gates of this University, may you also be haunted by these words, and I share them with you: Kung hindi tayo kikilos, sino ang kikilos? 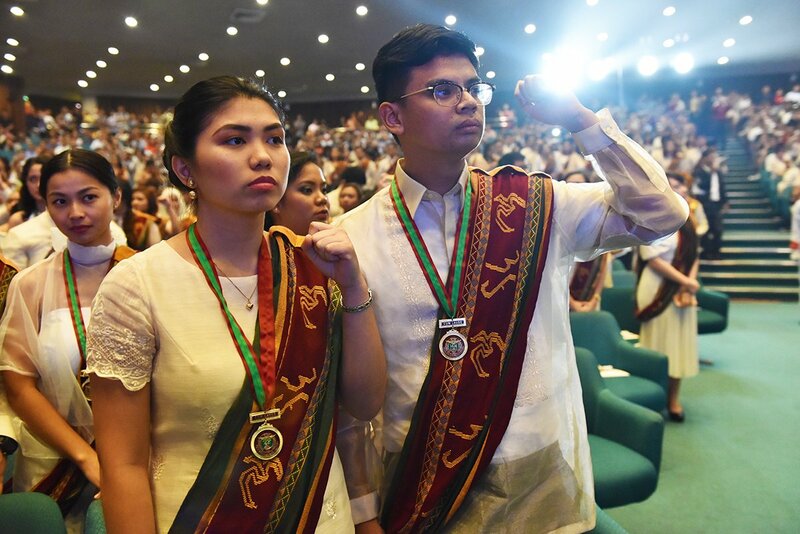 Kung hindi ngayon, kailan pa? 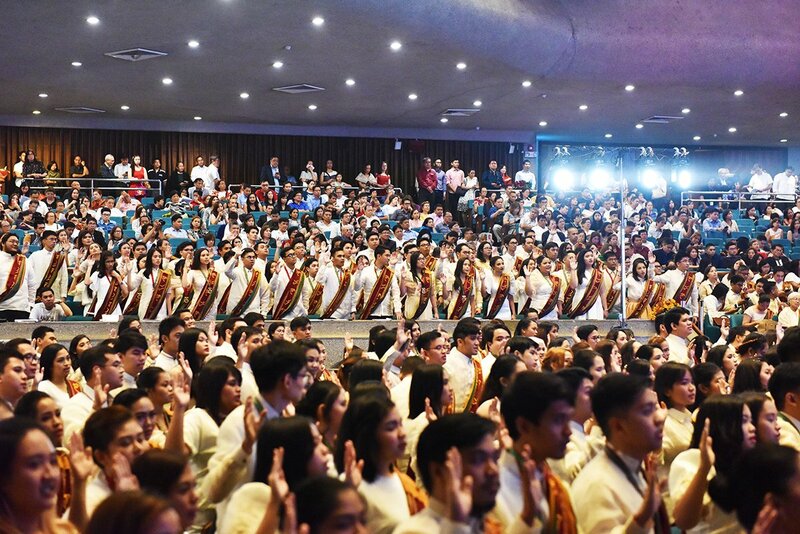 Iskolar ng Bayan, paglingkuran ang sambayanan!” concluded Leonen. 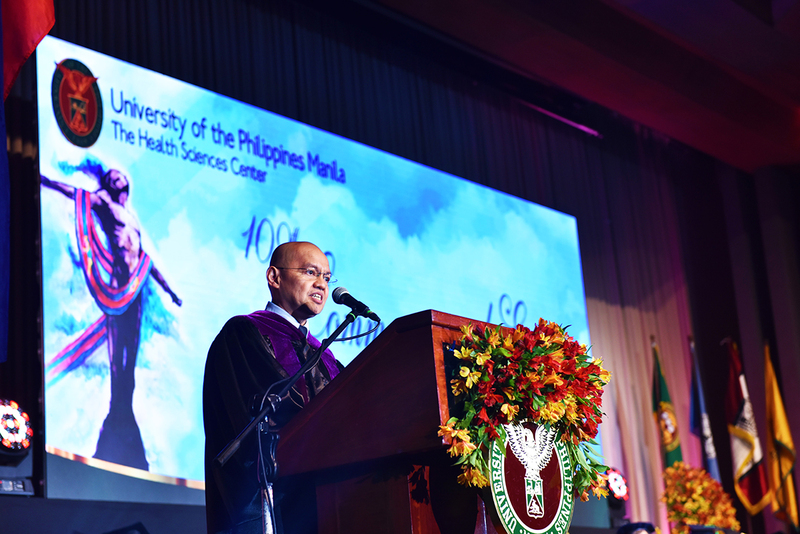 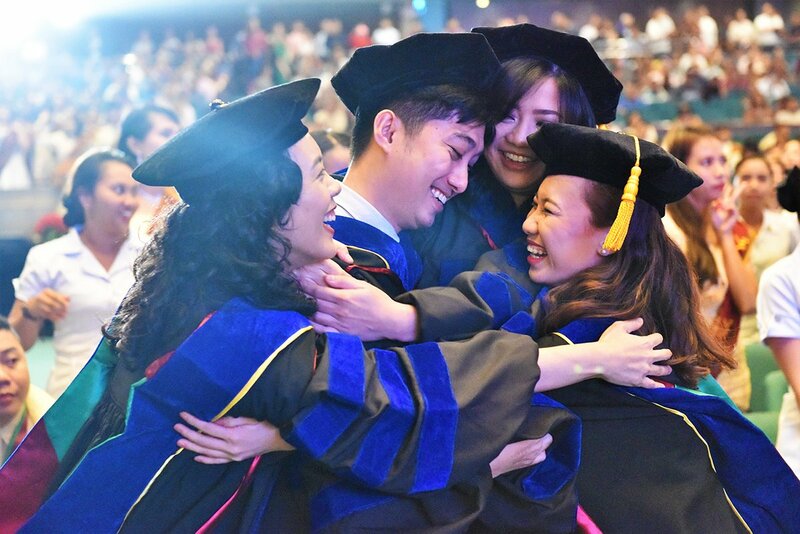 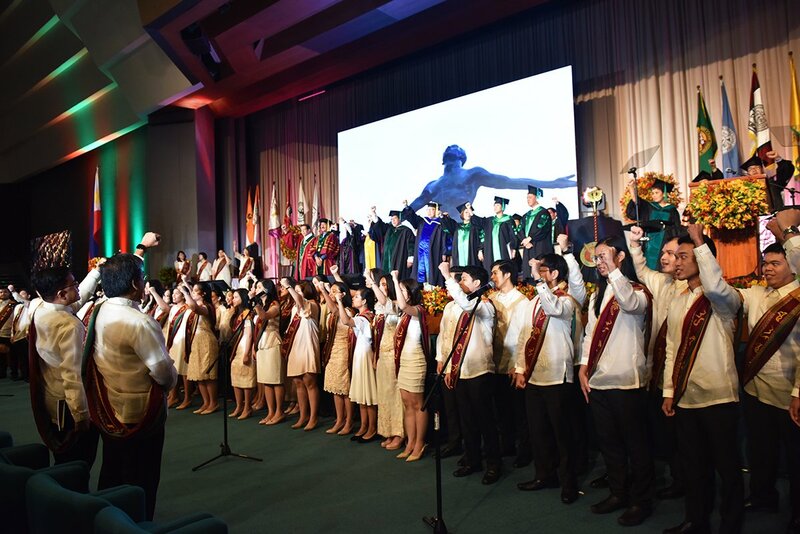 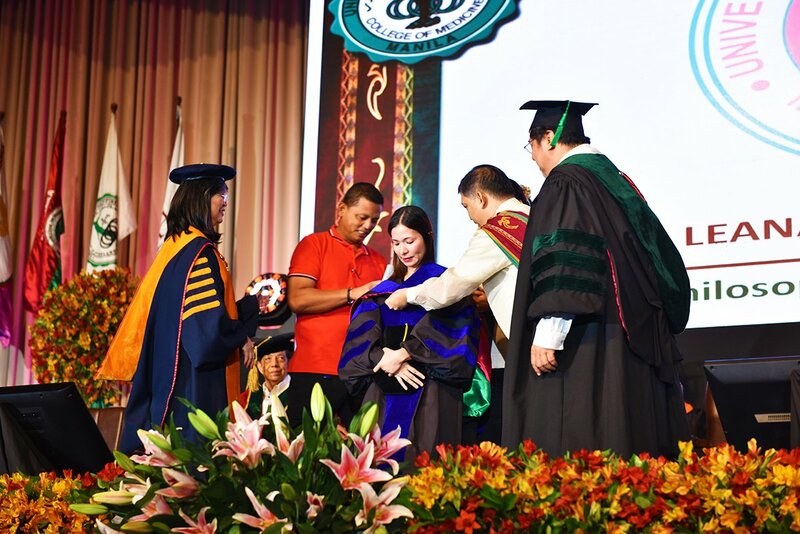 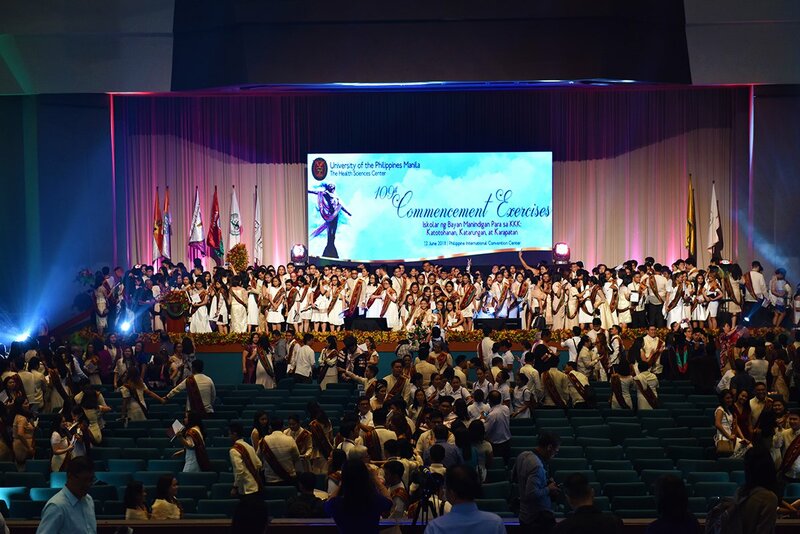 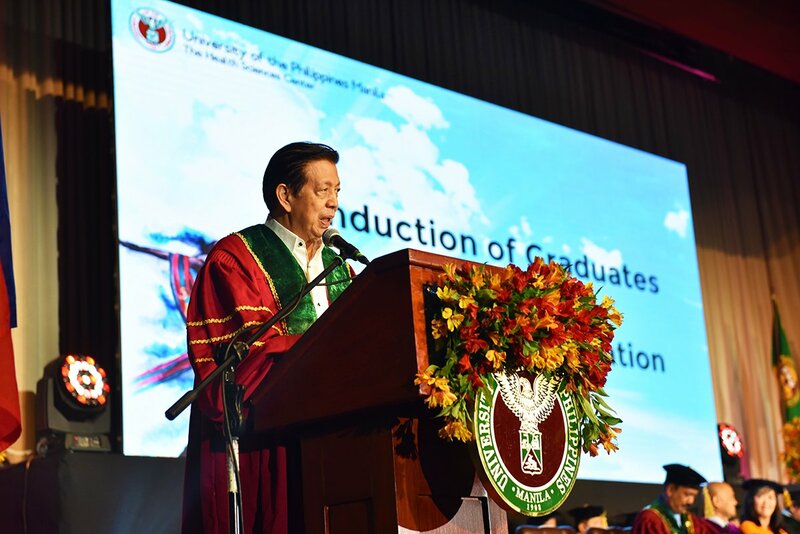 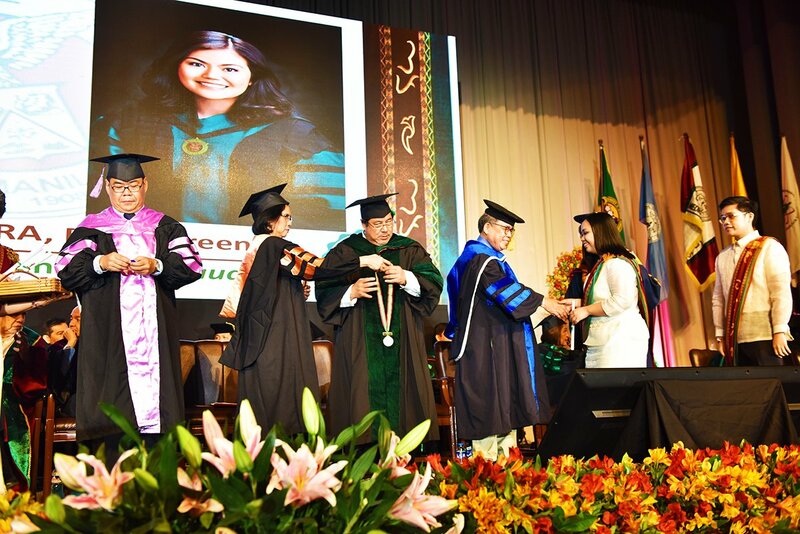 Martin M. Mamangon, graduating with a BS Public Health, spoke on behalf of the graduating class after the ceremonial distribution of diplomas, awarding of honor graduates, and hooding of doctoral candidates. 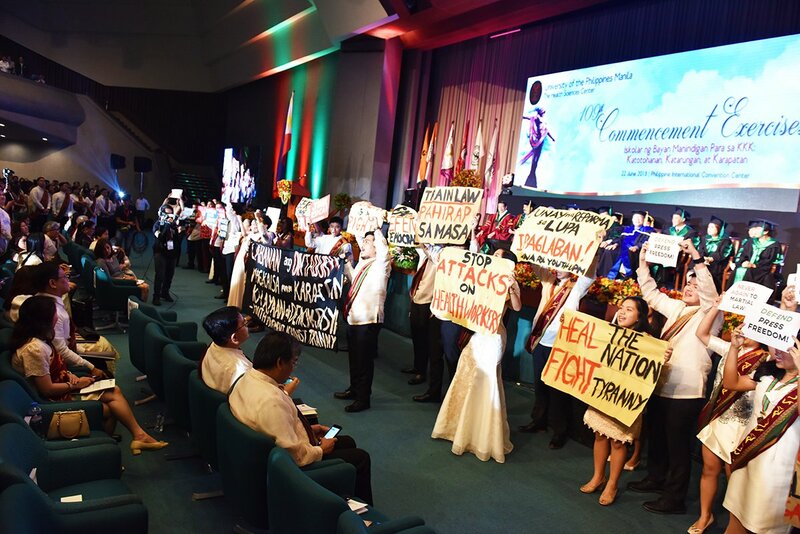 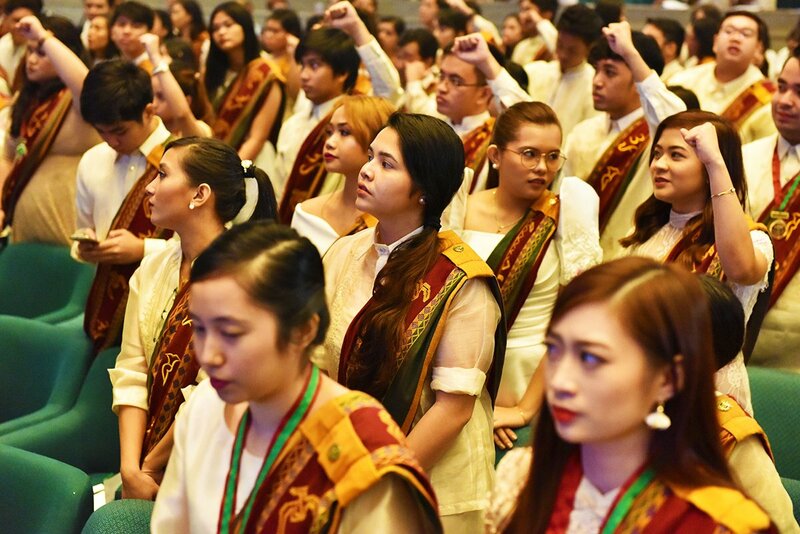 After the induction of graduates into the UP Alumni Association and the UP Manila Alumni Association, members of the graduating class held a lightning protest in front of the stage to denounce “tyrannical and anti-people” policies of the Duterte administration, such as the TRAIN law, martial law in Mindanao, extrajudicial killings, and rising impunity, among others.